A man processes his brother’s death by annotating the memories of the quirky people who knew him. Clay, the lead narrator of Winter’s debut novel, has spent five years contemplating the death of his brother, Eli, who crashed his car into a house in Providence, Rhode Island. His contemplation process is a little contrived, though: he’s reading through and annotating documents by “exes, friends, and neighbors” in Eli’s circle. But the scheme does allow Winter to display his skill at writing in a variety of voices and reveals how relationships among people coalesce and divide. Some characters are hard-luck cases, like Vince, who pretends to be actor Judge Reinhold to pick up women in bars, or Rob, a habitué of Providence’s heroin subculture. Other characters are broader and brighter, like Alix, who had conflicted feelings about dating Eli when he was her high school teacher (“it immediately felt like I had vomited my heart”), or Hank, a widower consumed by a young boy he suddenly finds himself caring for along with the geese he’s trying to run off his lawn. Clay footnotes every document with rebuttals or tidbits of local lore, and his comments help give the novel an interconnected feel, a kind of Winesburg, Ohio with more drugs and bad blood. (“Providence is small; avoiding one another isn’t easy,” Alix says.) But the novel is also hobbled by its structural complexity, creating a series of overlapping voices that dampens the core story of Eli’s fate and Clay’s reckoning with it. Clay’s footnotes often have footnotes, and his matryoshka dolls of commentary about family properties and former neighborhood IHOPs often feel like stifling digressions. 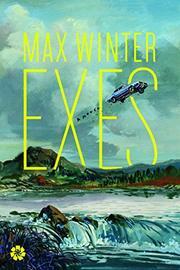 Winter is a writer with talent and wit to burn, though it's often undermined by this story's knotty structure.